If you are a loyal fan of hot hatches, you would have noticed how this particular car segment is sometimes on a roll, but in most instances just plain quiet. 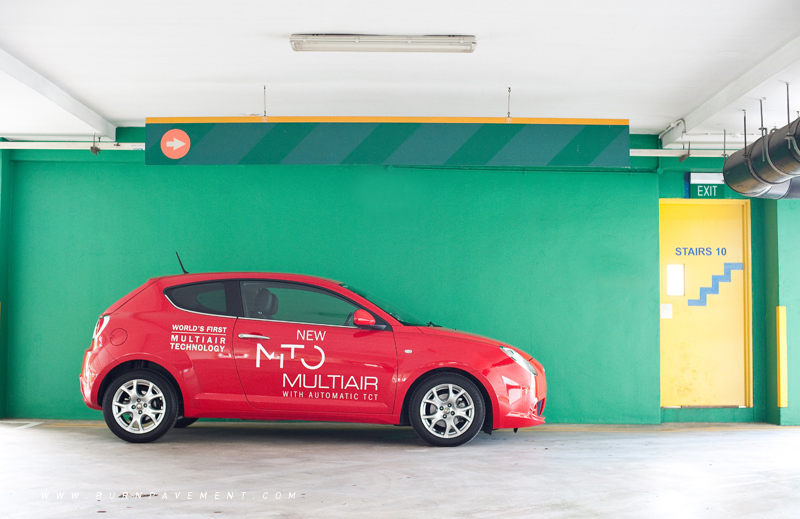 Previously available only in manual guise, the MiTo quietly arrived onto our shores with a twin-clutch auto transmission, which explains the title of "Ciao di nuovo" which means "Hello again" in Italian. This, the local dealer hopes, will increase interest as well as sales, because the six-speed manual version didn’t sell as well as they had expected. 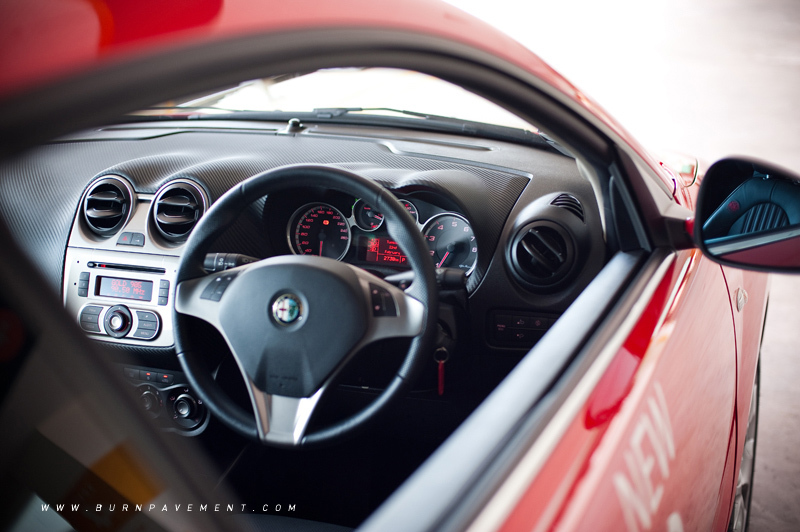 The Alfa Romeo MiTo as you would have already known, was heavily inspired by Alfa's drop-dead gorgeous 8C Competizione and got its name from the Italian towns of Milan and Torino. If you wonder why they have decided to use the first two alphabets of the two Italian towns, well the reason is simply because the car was designed in (cue Italian accent) Milan and assembled in Torino. 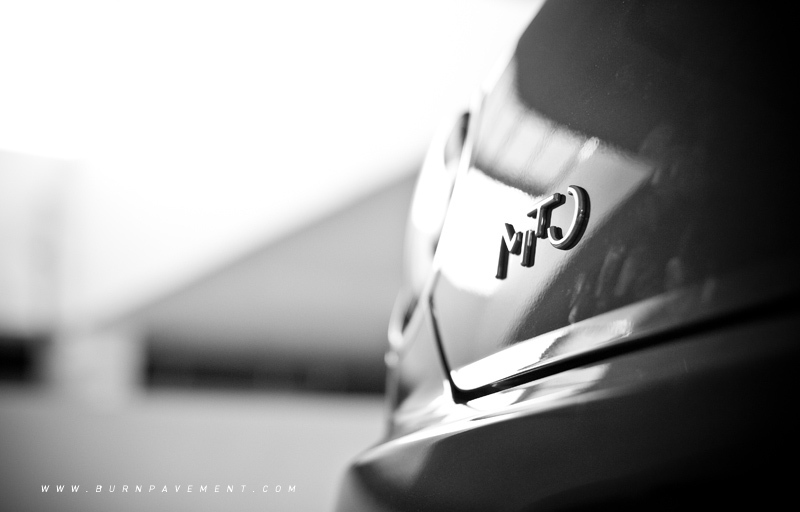 As you can see, the MiTo has the soul and basis of an Alfa Romeo, thanks to the pronounced nose-like front grill and strong cues of the previous 147. Those well-designed headlamps, housing the main beam, daytime running lights and signal lamps swoop downwards nicely into the lower grill, definitely giving the MiTo its own identity - honestly speaking, you don’t find such a face that has been given so much passion, elsewhere. 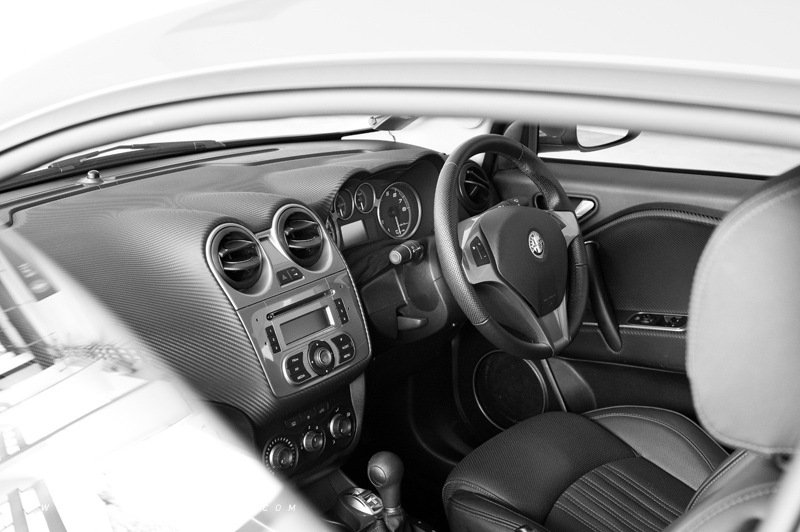 Interior wise, the cabin is one of the MiTo’s unique selling points. It appears stylish and equally contemporary, despite the rather comprehensive use of hard plastic for the door panels and dashboard. 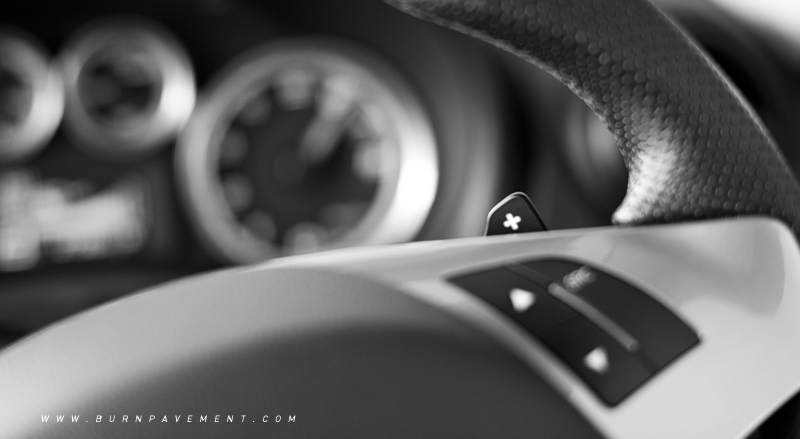 The designers obviously gave much thought to the layout – the controls are easily within reach of the driver and you don’t need to take your eyes off the road to adjust the electronic climate control. But in all honesty, some may not fully agree with the steering wheel – it seems a tad bigger than what we are used to in a German equivalent (read: Mini Cooper and Volkswagen Scirocco). It is nicely wrapped in leather, though. 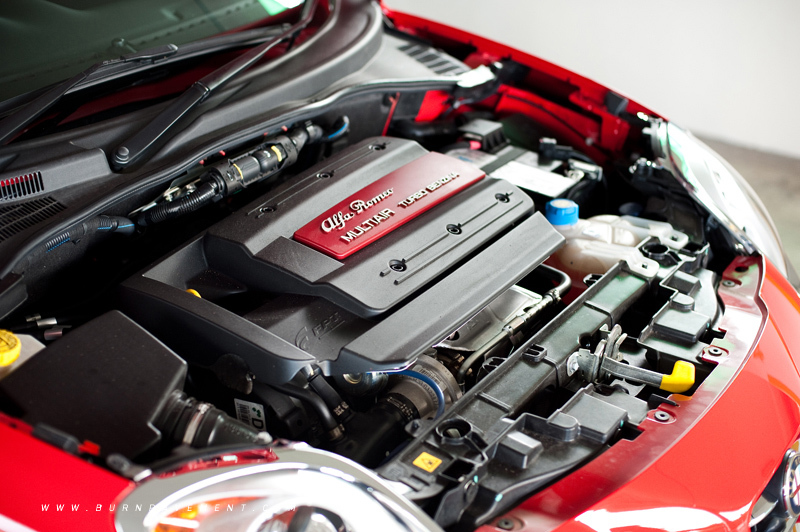 Under the bonnet of the MiTo lies a 1,368cc turbo charged four-cylinder engine that has seen extensive service within Fiat. Yes, it may be seen as a move to match up to Volkswagen’s downsizing trend, but in terms of engine refinement, Alfa still has some way to go. You see, though it does the job perfectly down the rev range, the motor seems to sound rather raucous when it is being pushed past the 4,000rpm mark. Helping to squeeze out all that 135bhp and 230Nm of torque from the engine is the latest twin-clutch transmission, bestowed “TCT”. 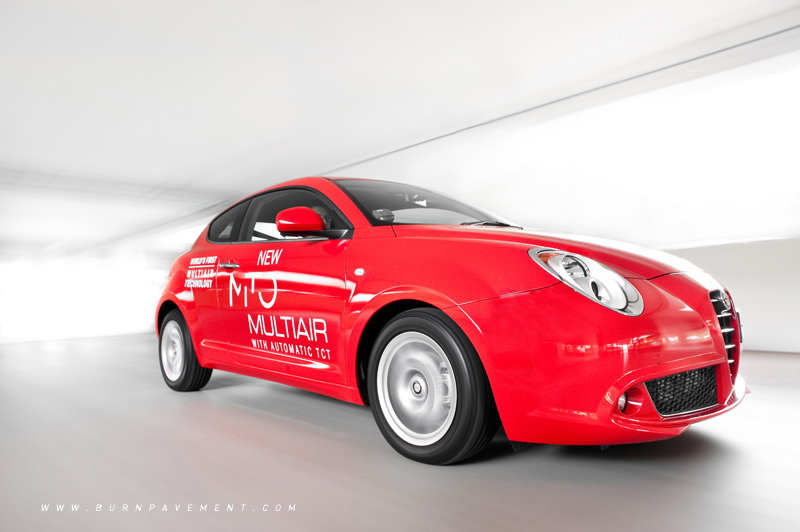 Unlike the Scirocco’s seven-speed DSG, Alfa’s version comes with only six forward gear ratios, and despite being one ratio short, the MiTo operates rather smoothly, though the same can’t be said about its response. Left to run on its own, the TCT box seems to enjoy taking things at a more leisurely pace, which is unlike the demands of a ham-fisted driver. Instead if you do want to drive it more enthusiastically, getting more engaged definitely helps. 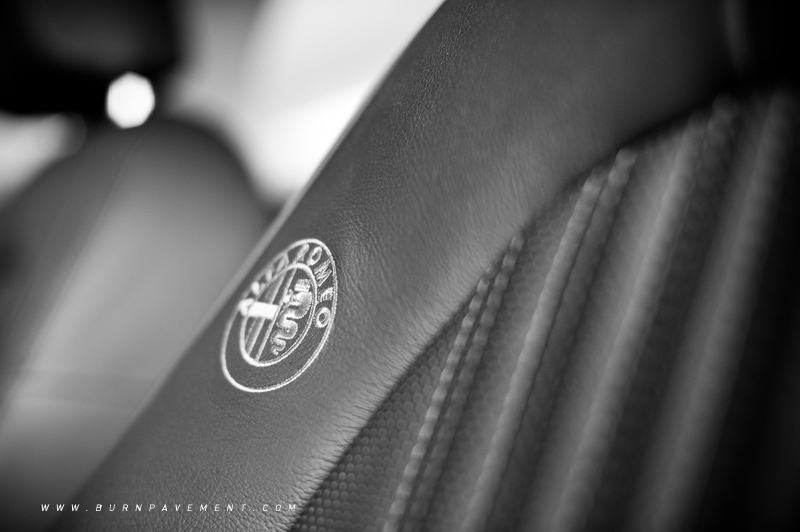 Just like Alfa’s Selespeed box of old, utilizing the “+/-“ mode on the paddle-shifter reaps in more driving fun. 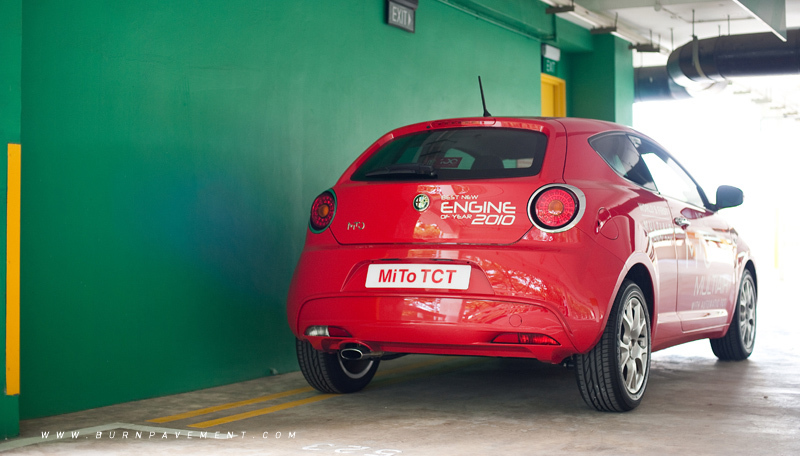 On the move, the driving characteristic of the MiTo isn’t what it seems to be. You may opine initially that the ride sways more towards the soft side, but when you set its DNA system from “Neutral” to “Dynamic”, you can feel the MiTo stiffen up and provide a reasonable amount of grip that is both sharp and rather precise. Pity the factory-fitted Bridgestone Turanza ER300 tyres that don’t seem to cooperate as they tend to screech and struggle for grip when pushed hard, killing your enthusiasm when shooting in hard into a corner. 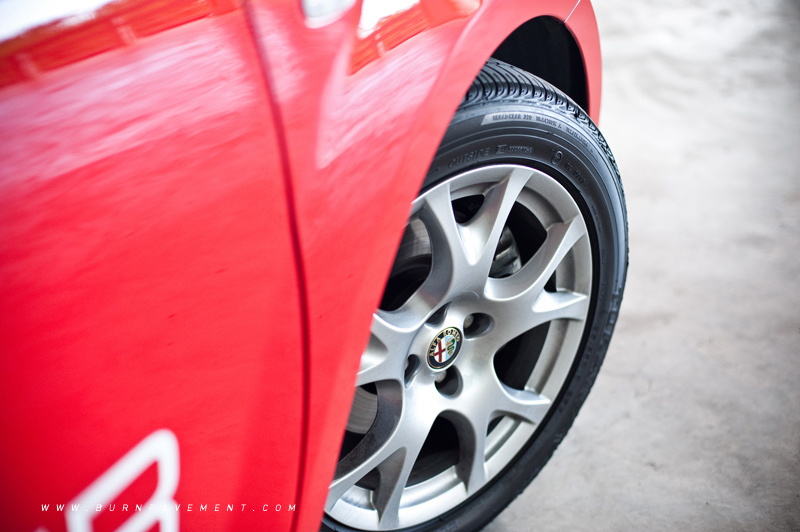 When it comes to the brakes, the anchors on the MiTo – standard with ABS and EBD - are assuring and offers respectable stopping power with no feeling of brake fade which is useful at hauling all that 1,145kg to a complete halt. 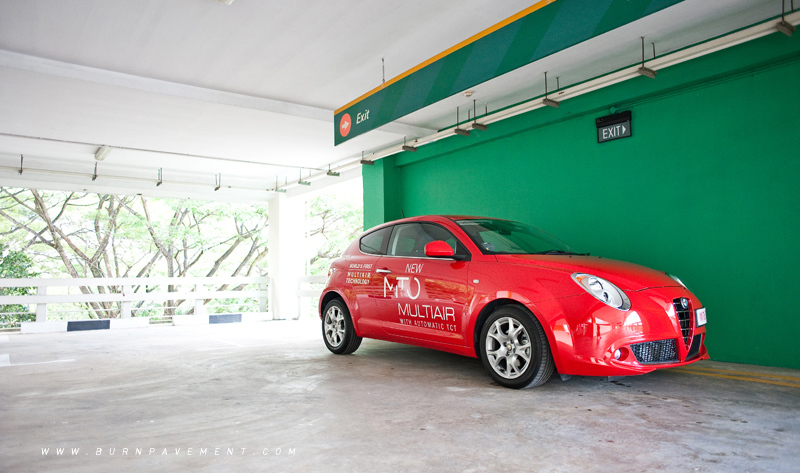 At the end of the day, the MiTo is quite an interesting proposition if you are in the market for a stylish yet different three-door hatchback. Sure, it doesn’t offer similar street-cred as a Scirocco and won’t really attract as much attention as a Mini, but knowing that you’re not as predictable as the rest of the crowd is truly a very rewarding preposition. 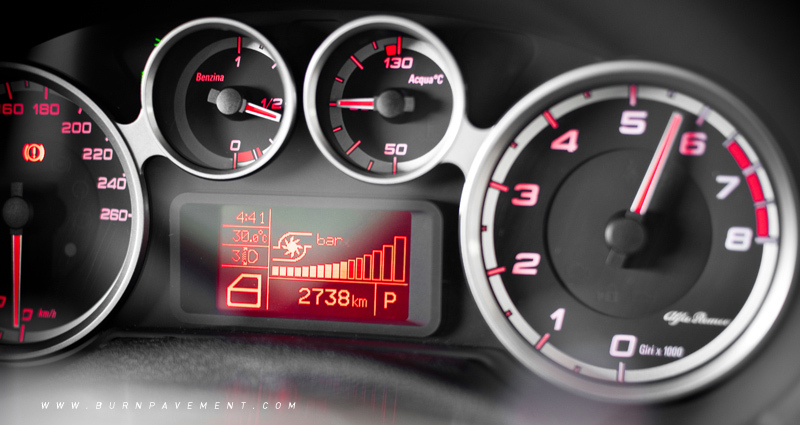 At the end of the day, though it might not be fast enough and it could be less refined, but heck, it all adds character to the Alfa Romeo MiTo.